I was so excited to share my best friend's baby shower with her yesterday. We have been best friends for seven years this year which may not seem like many but gosh we have had so much fun and so many memories. Catie was 17 and I was 19 when we first met and we were young and fun and ready to party and now we are both on the journey of motherhood. It's funny how much time flies! 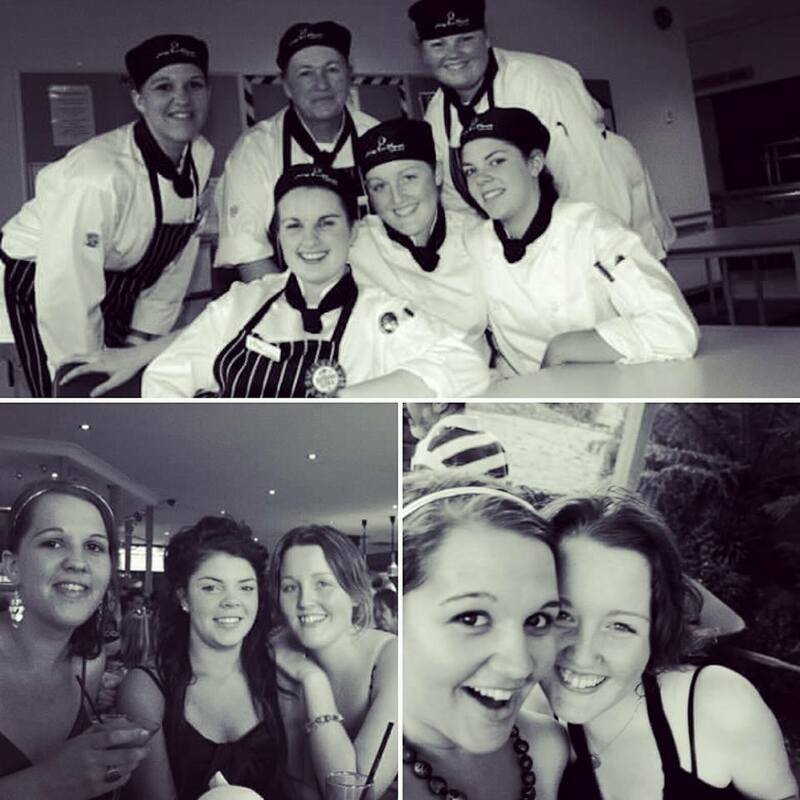 This is us in our young (and skinny) days when we were both apprentice chef's together. She is a lovely lovely godmother to my son and I absolutely can't wait to meet her baby in March. 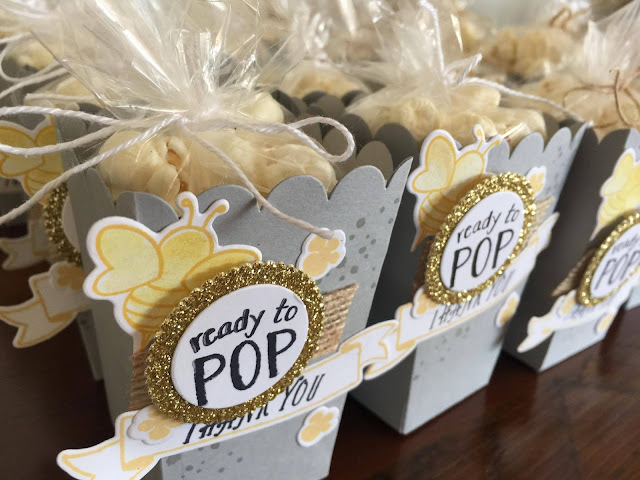 She doesn't know the gender of her baby so I kept these Popcorn favour boxes that I made for her baby shower gender neutral an just loved how they turned out. You can check out the challenge, all the other entires and how to enter for yourself here. There are so many gorgeous examples by both the design team and the entrants! I used the scalloped edge as I love the cute retro popcorn box look that it gives. It's just great. I have also combined a few stamp sets. I really wanted a texture stamp and I just love the grungey spots from Timeless Textures so I have stamped those tone on tone on the Smokey Slate background. 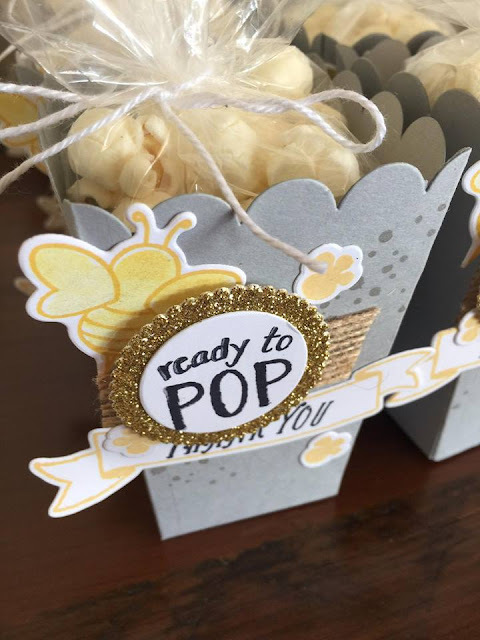 The ready to pop and popcorn pieces are from the Ready to Pop Stamp Set and cut with the Layering Circle Framelits. The thank you banner is stamped and cut from the Banners for you set and the bee is from Shooting Stars. I think it was a great use of stamps I already had in my stash. 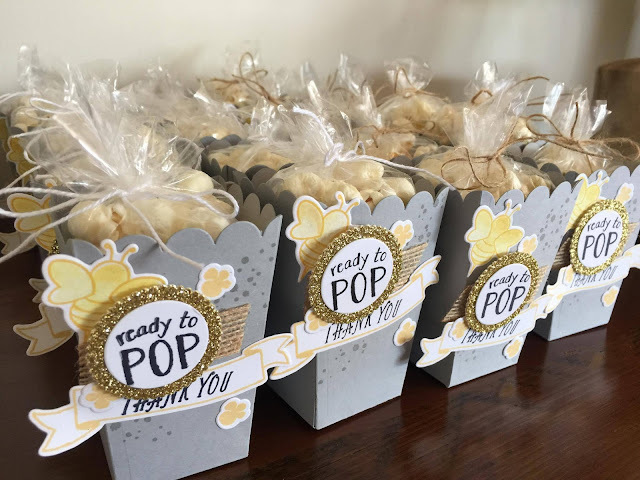 I filled the boxes with tiny gusseted clear bags with some popcorn and tied them with some white bakers twine and they were good to go and everybody that came along just loved them! It was such a fun project to make and such a fun day! 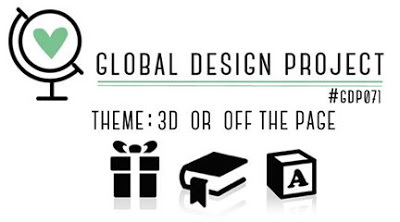 Thank you so much of reading along with my post about my project for Global Design Project. I also wanted to sneak a reminder in here about the Crazy Crafters Tutorial bundle. 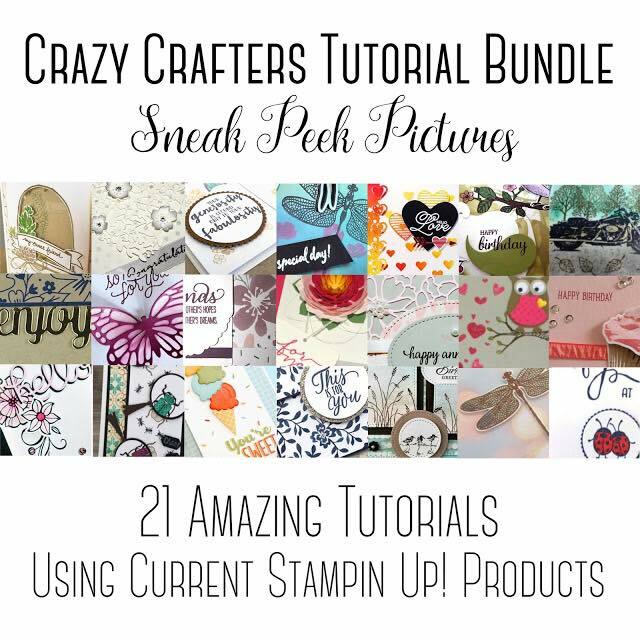 Stampin' Up customers and demonstrators alike can purchase this bundle for just $25AUD and it includes 21 PROJECTS! How amazing is that? I have a project in there too. :) Sneak peek on mine is the first square.